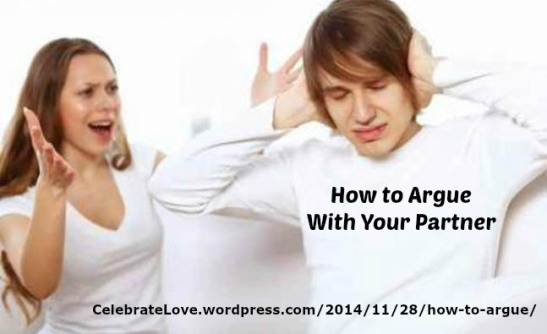 Alter argument patterns ~ Many couples have fallen into argument patterns that lead to more anger instead of a peaceful resolution. Maybe she criticizes, he gets defensive, she dredge up an old disagreement, he insults her, than she storms off – again and again. Making even a minor change near the outset of an argument could prevent this pattern from recurring, improving the odds of a positive outcome. Example: As soon as an argument begins, stop and say, “Let’s sit down at the kitchen table and talk this through.” Sitting is a particularly useful suggestion because it helps the brain remain calm and rational during arguments rather than shifting into panic-driven fight-or-flight mode. Ask neutral questions when you feel wronged by your spouse ~ Married people sometimes see nefarious intent in their spouses’ missteps where none truly exists. When you feel you have been wronged, ask calm, nonaccusatory questions that encourage your spouse to explain his/her actions. Imagine that you’re a dispassionate detective trying to get to the bottom of the situation, not the aggrieved party. Example: Your spouse is an hour late for dinner. Rather than explode in anger about how he take your time for granted, calmly say, “What happened? You’re an hour later than we had planned,” or “I tried calling your cell, but there was no answer.” There might be an innocent explanation. Perhaps your partner lost tract of time… or perhaps his phone battery was dead. 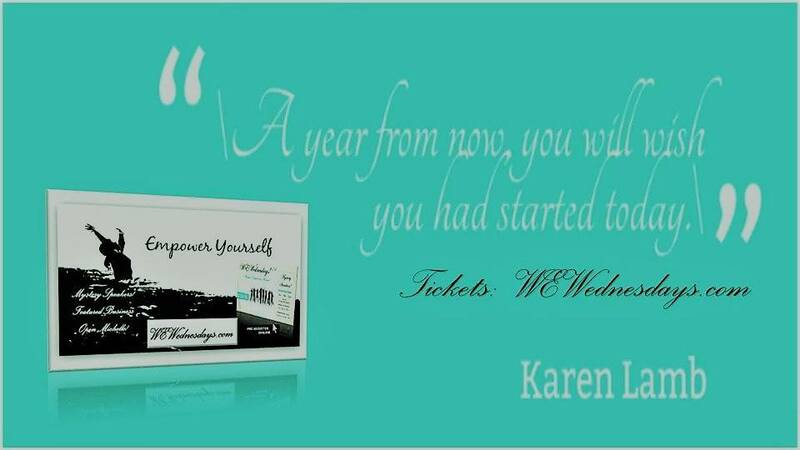 Click the book for info! Team up to find a solution ~ People are more likely to live up to the terms of an agreement when they feel that they had a role in crafting it. Thus the best way to prevent a problem from recurring in a marriage isn’t thinking up a solution – it’s sitting down with your spouse to think up a solution together. Copyright © 2014 Laurie Puhn, JD. Laurie Puhn, JD, is a couples mediator in private practice in New York City. She previously served on the board of the Harvard Mediation Program. 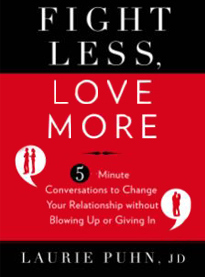 She is the author of, “Fight Less, Love More: 5-Minute Conversations to Change Your Relationship Without Blowing Up or Giving in” (Rodale). Visit her Website at www.LauriePuhn.com.